The summit is directed towards health professionals (psychologists, physicians, therapists, social workers), special education professionals, dancers, artists, students and anyone interested in their own personal development. 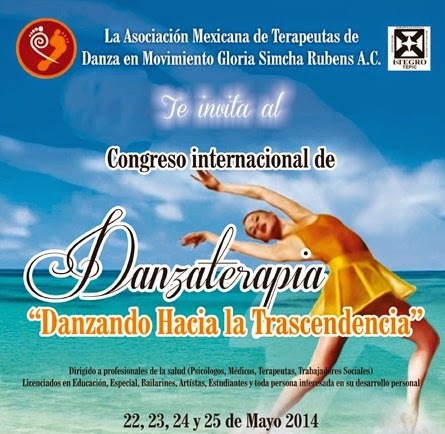 Nuevo Vallarta’s Paradise Village hotel will host the Riviera Nayarit’s 2nd International Dance Therapy summit from May 22nd to the 25th; the event is titled “Dancing Towards Transcendence” and it’s in its ninth year domestically. The event is directed towards health professionals (psychologists, physicians, therapists, social workers), special education professionals, dancers, artists, students and anyone interested in their own personal development. “This is for everyone, not just for artists. Our body registers every emotion we feel such as sadness, anger, fear, joy and more. Those that cause conflict generate an energy that stays lodged in the body. Through dance therapy we can help people liberate it so they can enjoy better emotional and physical health,” explained Ávila. This encounter with international specialists is expected to include some 200 people. An invitation is also extended to those with a handicap. “We have a dance therapist who succeeds in getting quadriplegics and people who have suffered critical injuries to their spinal column to move,” revealed the Association president. The summit will take place in collaboration with the Universidad Autónoma de Nayarit and also receives support from the Riviera Nayarit Convention and Visitors Bureau. “They have been backing us in everything we need, we’re thrilled at the positive response and we feel very supported. We want the world to know how welcoming we are in Nayarit,” said Edna Ávila.